Hope. 3.75" x 5.5". 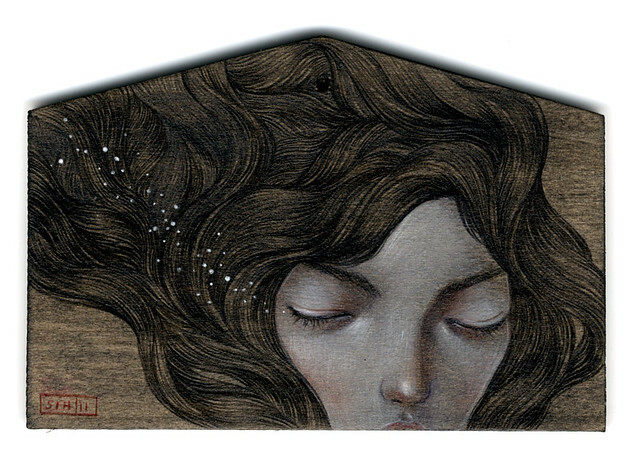 Acrylic & Colored Pencil on Wood (Ema plaque). © 2011.
for this Saturday, June 4th! all art donated by artists & all proceeds go to japan for earthquake & tsunami relief funds. it's a one day only event where all the artwork is under $200, and you can pay & take the artwork home when you leave! you can view all artists' works & more info here on their site! please check their facebook invitation page too. 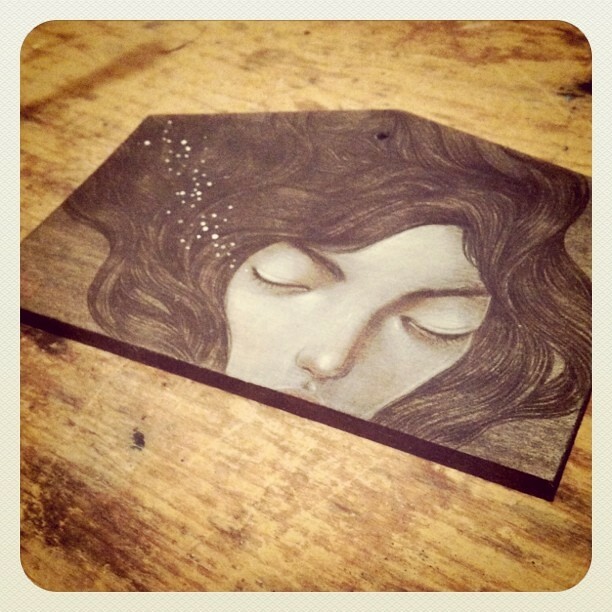 i created the piece i'm donating above while creating this piece for another Japan relief fundraiser, as an ema. ema, a prayer plaque for shinto shrines in japan, seemed like a perfect medium for the cause of the event. if you're in NYC area this saturday, please stop by the gallery in Soho and support! they will accept non-art-purchase donations as well as fundraising via merchandise sale on site.